It’s been reported that gaming developer Rockstar have made at least half a billion dollars from Grand Theft Auto online, which is part of the latest game in the series GTA V.
This information has come from the former president of Rockstar North Leslie Benzie, who’s filed an $150 million lawsuit against his former employer Rockstar and Take-Two Interactive. It states that GTA V’s online multiplayer mode ‘Grand Theft Auto Online’ has generated “at least” $500 million from micro-transactions in the game. The online mode itself is completely free, but players can pay for in-game content to help them level up quicker, as well as provide themselves with a variety of different character items, vehicles and weapons. A free online mode generating such a massive amount of profit is nothing short of amazing, and it shows how much of a loyal fan base the franchise has. 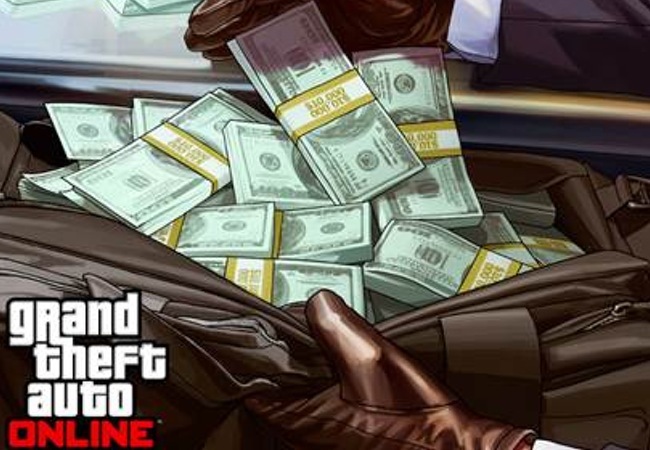 Benzie’s lawsuit also claims that micro-transactions in GTA online have “nearly 100 percent profit margin”, so if this is an accurate statement, then GTA Online could easily have the potential to be the front runner of the entire series, and change the way Rockstar develop GTA games in the future. Since the release of GTA V fans have been wondering if and when they would be seeing some story based DLC, but with it’s online mode going from strength-to-strength it’s clearly where the money is and in Rockstar’s best interest to keep producing content for it’s online market. New story DLC will obviously cost money, and if Rockstar can continue to make millions of off an online mode that essentially is free, and it’s a no-brainer that people would rather pay out for the occasional micro-transaction instead of a larger amount of DLC. GTA Online can be played for free on GTA V, which is out now for Xbox 360, Xbox One, Playstation 3, Playstation 4 and PC. Freelance writer, blogger and delightful chap from the UK. When I'm not writing you will find me watching films, gaming or drinking copious amounts of tea.